Sometimes, it just seems like the years and months quickly vanish into oblivion, some being a memory sweet, and others predictably similar or uneventful. This past year, however, seemed different. Despite all that’s been happening around the world, in our own country, and in our personal lives, there are certain things that do not change; for example, the fact that spring always follows winter. The euphoria of an incredible evening presentation and observation of the Heavens through powerful telescopes paved the way for even more excitement as we counted upward of 100 beautiful shooting stars between 11:30 P.M.and early dawn! Our star party was indeed a hit! Mid-September found a group of us enjoying an afternoon of delicacies at the Sunburst Lodge, hosted by Michelle Schaeffer who shared her secret recipes and hidden talent for turning any vegetable or fruit into a dehydrated delight! We excitedly tried our own hands at learning that fascinating process, never mind treating our tummies to a buffet of treats! Emily Wirtz also shared her hidden talent for canning, further whetting our appetites with several culinary creations. But wait, no fun afternoon would’ve been complete without a sumptuous potluck dinner—and that it was!!! As the cycles of the seasons usher us into their own unique rhythms, so did the end of September find us engaged in a special journey of connection to our soul and the earth through the eyes of a horse! 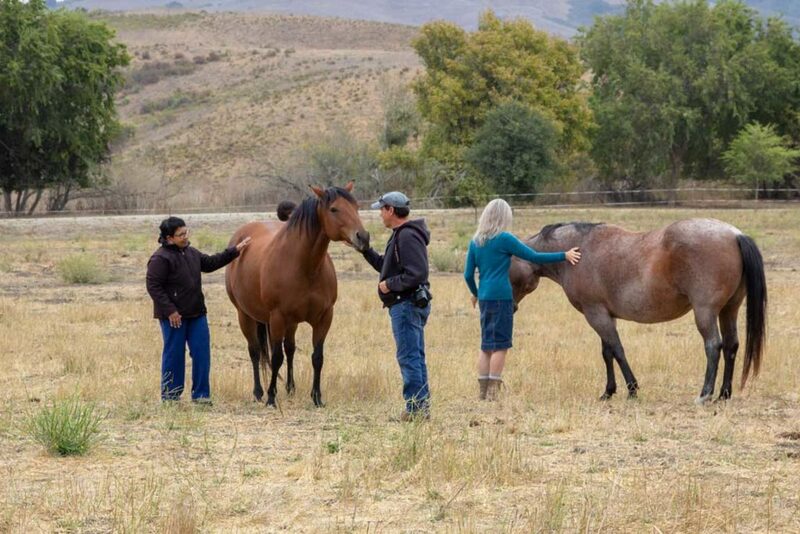 Every participant in the Equine-Guided experience, led by Natalie Riggs, spent an entire day spellbound by the deep and emotionally moving connections they made with the Sunburst horses, and the horses’ abilities to not only help us open our heart centers, but to connect to our souls, the earth, and Spirit, with many participants experiencing amazing emotional and spiritual breakthroughs! October brought its own special gifts—a Kriya II Meditation Retreat in which one learned the technique of activating the healing power of our chakras. 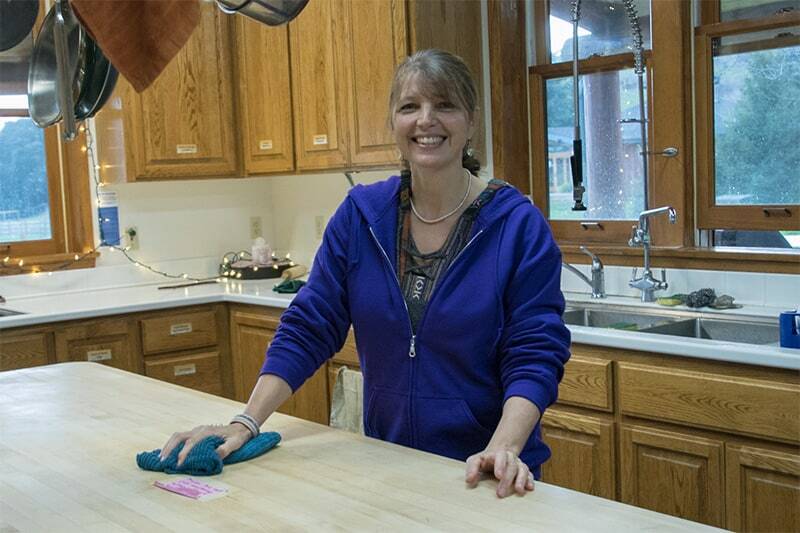 Meditation, periods of silence, and interiorizing of the senses were highlights, paving the way for an even deeper journey within at the Fall Silent Retreat led by Sharon Ray. What an incredible journey of Self-discovery it was! 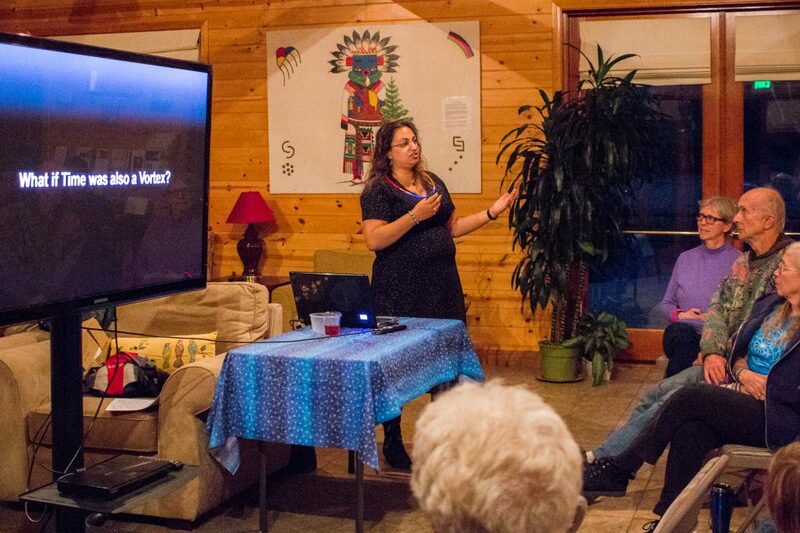 Yoga, guided walking and sitting meditations, visual presentations and enlightening talks by Sharon provided a fitting end to an amazing month of journeying within. November found us exploring our body’s own sacred geometry at the Celebrate Life Retreat. Craig Hanson led this fascinating workshop of understanding our bodies with the objective of understanding creation. 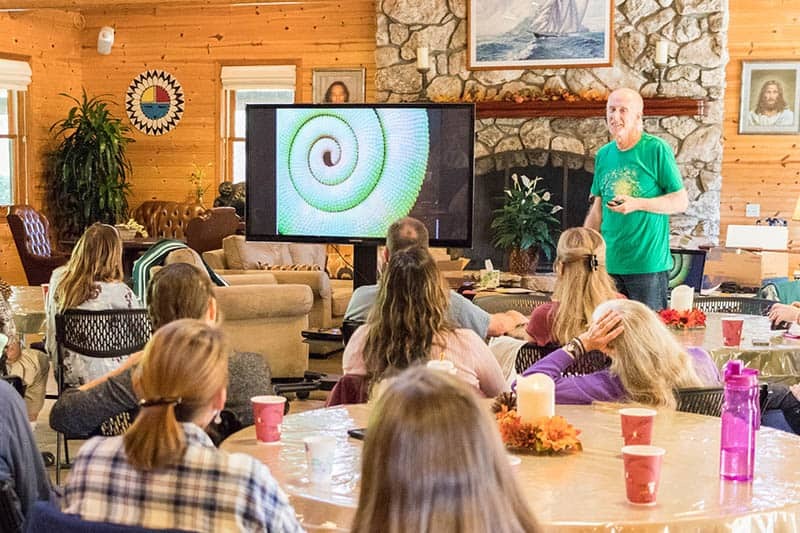 A captive audience expressed its delight at discovering the Divine thumbprint—the sacred geometry that is inherent in every aspect of our bodies, nature, and the cosmos! Our minds and senses fully satisfied, the evening would culminate with Dances of Universal Peace. Two hours of delightful world spiritual dance and song would prove to be the perfect ending to an amazing day! The journey within that started with the Equine-Guided event in September was reaching a high crescendo as Sunburst celebrated the return of the light at our winter solstice meditation and labyrinth walk. 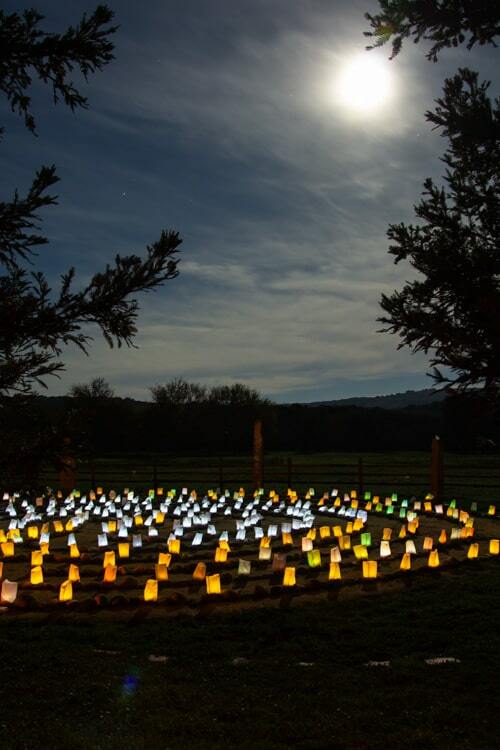 An afternoon of hourly silent meditations proved the perfect prelude to dinner with friends, followed by a warming fire and labyrinth walk with lumineria under the stars. What magic ensued as the beautiful full Moon shed her glorious light beams over the meadow and labyrinth as we gathered around the bonfire enjoying the heightened cosmic energies of a most sacred day. 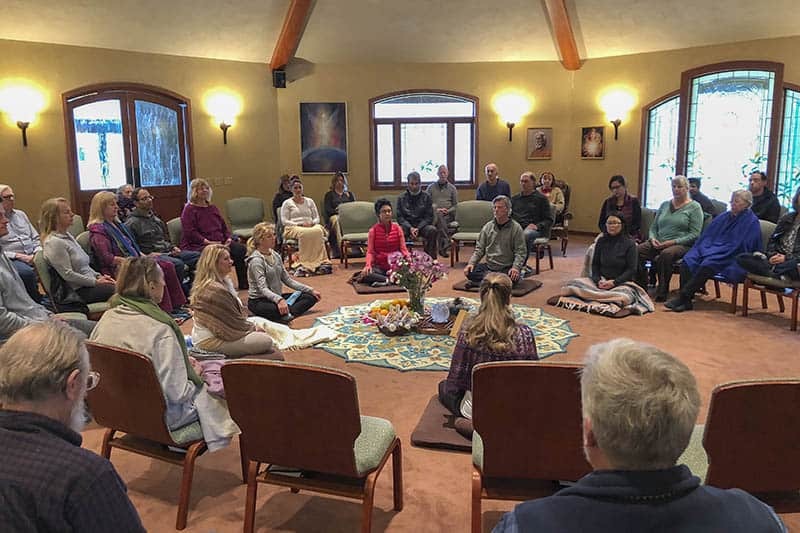 As I revel in the energy of a New Year and what it might bring, my heart is already uplifted by the blessings of the New Year’s Kriya Yoga Meditation Retreat held on the first week in January. One of the most powerful ones ever, I cannot but marvel at how the incredible energies of the previous six months were in sync with the very rhythm of the seasons they represented. And at how we started our journey inwardly in September just as Nature started her own journey of rest and rejuvenation, in preparation of a vibrant spring that’s sure to follow.